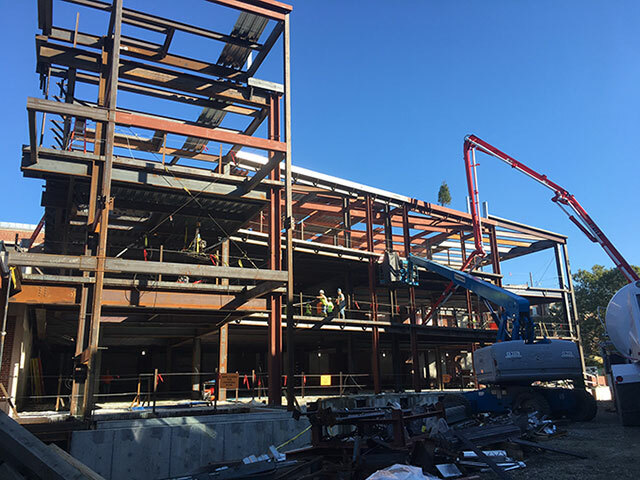 Pumper trucks pump concrete up to the second level of the addition as workers place the second level floor slab. 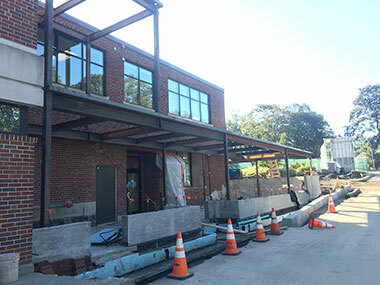 The Hickey Hall addition steel has been erected. The second level will provide an observation deck for students and professors to set up telescopes.